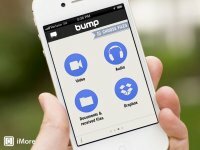 Google GOOG -0.17% has acquired Bump, a mobile app that was one of the early hit mobile apps but never became a big business. Founded in 2008, the company raised about $20 million from top investors including Sequoia Capital, SV Angel, Felicis Ventures and Andreeessen Horowitz after going through the Y Combinator incubator. The app was designed to let people share contact information by just bumping their phones together. The company also evolved to let people share things like photos through bumps. Later it launched a second app called Flock for group photo sharing.